A desperate Ian tells Jane he can’t lose another child leaving her to tell Steven about an alternative treatment in America. With Jane refusing to give up, Steven snaps at her and tells her he doesn’t want false hope. As the residents make the final preparations for Walford in Bloom. Later on, with Steven and Ian out, Jane makes a startling discovery – has Jane discovered the truth about Steven? 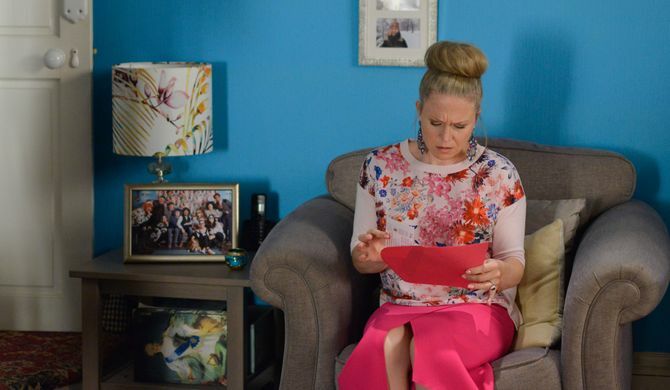 Mick tries to apologise to Linda by surprising her with a touching present but is taken back by her reaction. Struggling to cope, Linda confides in Sharon about the situation. Billy worries about Jay’s behaviour and after Honey tries to get to the bottom of what’s going on, Jay explains all to Billy. Tom takes Michelle on a date.